This cocktail was inspired by both the heat and what I got in my CSA this week. I fretted a bit over grinding up such beautiful local blueberries, but this is the third week I received them, so I went for it. Since I had such an abundance of basil and was too lazy to make pesto, I threw in a handful of basil leaves for a nice green touch. When it came to the booze I went girly, indulging with vanilla vodka and also some lillet wine. The result was a sophisticated slushy. 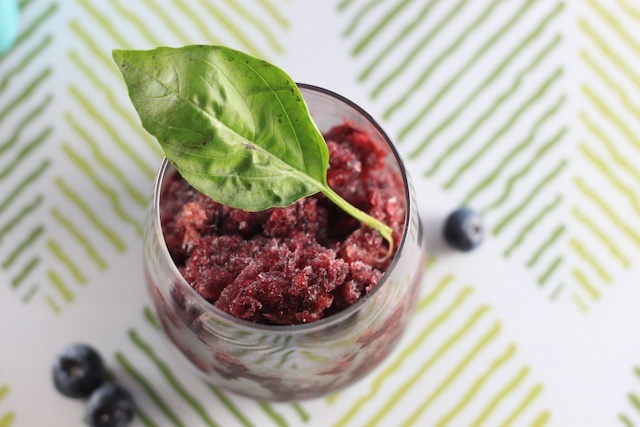 It is delicious eaten with a spoon or slurped after it has melted it a bit. 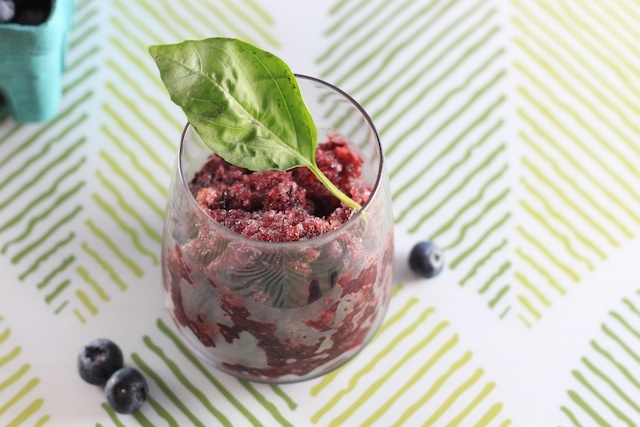 In a blender, combine the blueberries and basil and puree. Add the simple syrup, vodka and Lillet and blend to combine. Pour in a small container with a cover that can go in the freezer. I used a glass covered container the size of a small loaf pan. Put the container in the freezer and freeze. After about 3 hours, take out and fluff the frozen liquid with a fork. Freeze a couple more hours or overnight, taking it out every once in a while to fluff up the ice with a fork so that it is slush consistency. For me, I left the granita overnight and fluffed it the next day and it was a consistency. 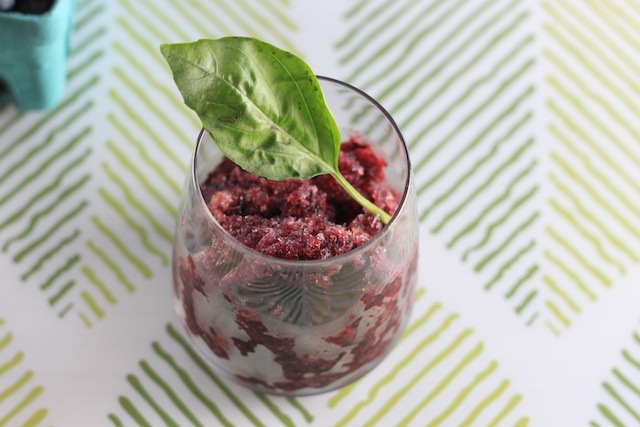 thank you bookcooker for this recipe!